Transportation matters. When people need to get places, but don’t have a good way to do so, it’s more than just a drag for them – it’s also a drag for the economy. Americans are living increasingly far from their places of employment, which knocks walking or biking out of the way for many. And not everyone has a car to get themselves from place to place (and even if they did, the cost to the environment would be pretty steep). Moreover, public transportation in U.S. cities, in particular, does not always serve all city residents equitably. In this episode, Anna and Annie discuss the efficiency of ride sharing, the topic of a recent paper, “Scaling Law of Urban Ride Sharing,” authored by this episode’s guest Steven Strogatz, professor of applied mathematics at Cornell University, along with several colleagues: Remi Tachet, Oleguer Sagarra, Paolo Santi, Giovanni Resta, Michael Szell, and Carlo Ratti, the director for MIT’s Senseable City Lab. Listen in, and get ready to change your Lyft settings to “Line”. We know that The Weather is the most basic, most mundane small talk topic in, you know, the world. We understand that The Weather is just boring to discuss. Join us in this episode as we discuss the fascinating, and varied, uses of math in weather predictions, from model-building to handling competing forecasts. We speak with Hannah Christensen, a postdoctoral researcher in the Physics Department of Oxford University, whose 2015 Guardian article, Banking on Better Forecasts: The New Maths of Weather Prediction, outlines how forecasters use probabilistic models to minimize, or at least better explain, the “chance” in next week’s chance of rain. We also have a conversation with Frank D’Amico, a statistician at Duquesne University, who explains the conditions under which the simple act of comparing two bell curves turns into one of the greatest unsolved puzzles in statistics, the Behrens-Fisher problem. Turns out, The Weather isn’t so boring, after all. To hear why, listen in to our conversation in Episode 4. We promise: It’s not just small talk. After a conference Anna attended this summer, during which she and her colleagues considered whether they could legally protect the work they produced, we began to wonder: To what extent can math be considered—and protected as—intellectual property? Already comfortable with mathematical logic and reasoning, we turned to Sarah Wasserman Rajec from William & Mary Law School to help us approach this topic using logic and reason from the legal standpoint. 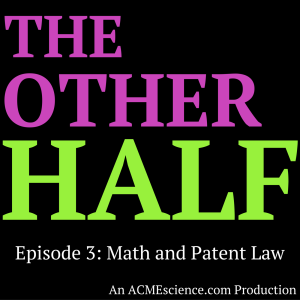 As we work out an answer in Math and Patent Law, we yuck it up about upstream innovation, a very important encryption algorithm, prime factorization, and whether math is created, invented or…just a matter of eyesight. So, can you take out a patent on math? 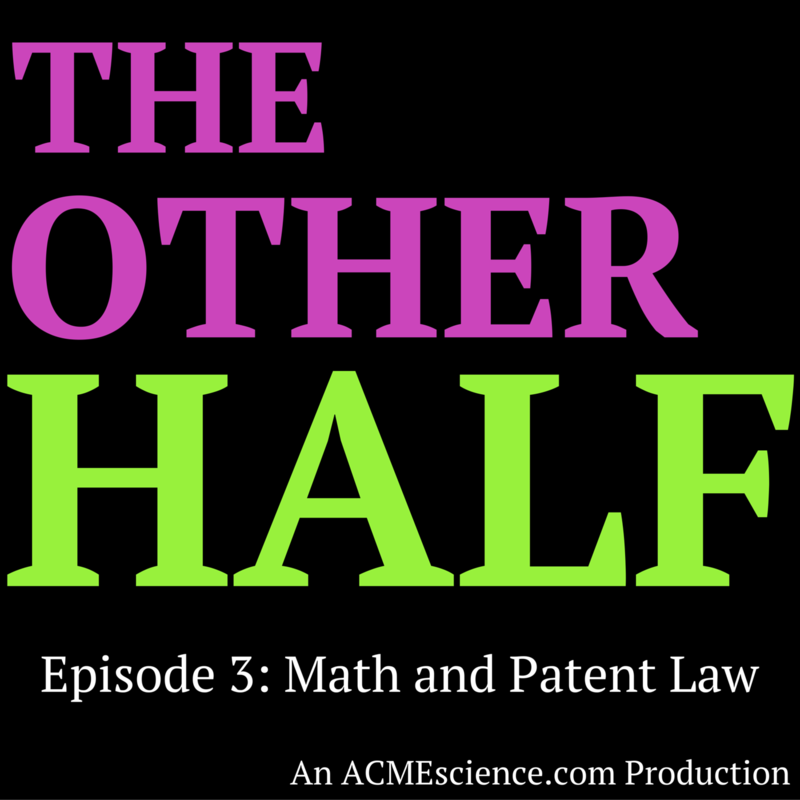 Listen to Episode 3: Math and Patent Law to find out. In The Road Trip, Anna and Annie look into the math that undergirds the great American summertime tradition of rolling down the windows, turning up the stereo, and touring the countryside by automobile. Randy Olson has made the planning part easy by computing the optimal road trip across the U.S. His work to minimize the miles between landmarks in the lower 48 has been featured in the Washington Post and on Discovery News. In fact, Tracy Staedter of Discovery News can be credited not only with encouraging Olson to tackle this problem, but also with determining the list of landmarks he used. If you have a road trip you’d like to optimize, check out his code here. And, because cars don’t run on math alone, we also consider the necessity of refueling on the road. In particular, we ask Laura McLay to weigh in on gas station safety, as she computes the conditional probability of blowing yourself up while you’re pumping gas. Along the way, we consider the role of approximation in math, the field of operations research, and the benefit of quantifying risk. Want to understand some of the math behind getting behind the wheel? Listen to Episode 2: The Road Trip now. In Racism and Segregation, Anna and Annie call on two people whose online contributions have helped paint a picture of racism and segregation in this country. Dustin Cable’s work on the Racial Dot Map paints this picture in a nearly literal way; see what we mean here. Also, check out his methodology and code, and see one source of his inspiration–the work of Brandon Martin-Anderson and Peter Richardson–here. Nicky Case and collaborator Vi Hart created a playable blog post called Parable of the Polygons earlier this year. This interactive site demonstrates the Nobel Prize-winning work of Thomas Schelling–work that concludes that small individual bias may be responsible for the neighborhood segregation we see so clearly in the Racial Dot Map. Want to understand how math can help us better understand bias, racism, and segregation in this country? Listen to Episode 1: Racism and Segregation now. Welcome to The Other Half. You’ll get to know us well as you continue to listen to our show, but Episode 0 is the first element of our set. An exploration of the life half of math and the math half of life.